It took me about three months to draft this story just because I was finding myself thinking whether it’s something most of you, my dear readers, would understand and relate to. I mean, we’re all hungry for adventure and we reckon’ every post must be made up of thrills, frills and excitement. 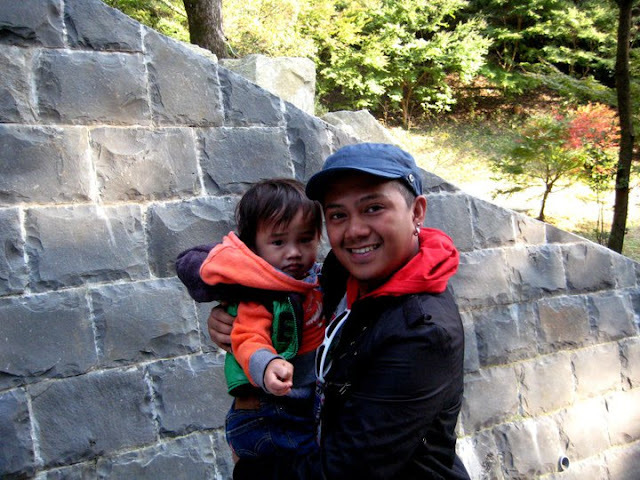 This time, I am writing to you about something I realized when I went to Japan. In the land of the rising sun, there are more old people that I have seen than the youth. I am surprised but more curious how this came to be. When we talk of Japan, we think of high-tech gadgets, latest trends and anime. We think of the power of the youth and how it has influenced each and every country in the world. I was running from the underground shopping mall in Osaka. I was breezing through a sea of people who appeared to be excited for the night’s clubbing in downtown Dotonburi when I came across an old lady. She’s a little over sixty with her steel walker and trying her best with the steps. I stopped for a bit and tried my best to make her feel more comfortable. She signaled It’s okay. I walked away with a burden. I was riding the train in Hiroshima when I stopped to look at my fellow passengers. I can attest to that I was, maybe, one of the less than 20 people below 40 years old. I’ve seen men and women, them with their wrinkled face and eyes that speak so much of their past. In the land where the greatest destruction to man happened, I was bound to face the truth. These people have endured pain and sufferings. Yet, they’re still here living their lives like us. 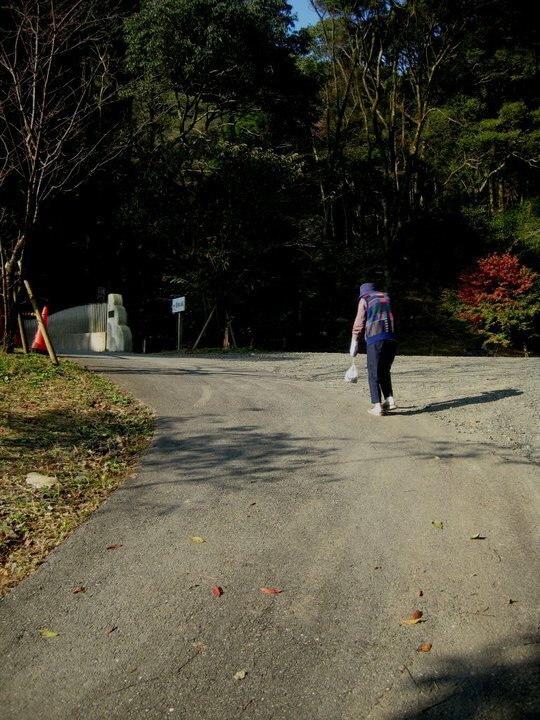 And the photo that made it to the story is an old charming lady, roughly a little over 70 was walking uphill in the mountains of Saitama in Fukuoka. I couldn’t help but wonder how it must be for her to go through the many steps and steep climbs just to go up and meditate. The old people of Japan have been an eye-opener to me more than I think it should. In Japan, nearly 1 in every four people are aged 65 years old and above. In 2010, around 4.6 million elderly lived alone across the country. And the number of them who died at home rose to 61% from 2003. Indeed, Japan is getting old. I went out for lunch with my friend and her family, one day. I’ve seen joy through the eyes of the old people as they look at the babies, cute and cuddly. I’ve never seen a more happy elderly, since then. Japanese is famously with their longevity and age successfully..it's still not surprise to see Obachan on age80 can still farming and climb a hill, prob their healthy diet: sushi, seaweed and soy. The only thing that killing them is development and nuclear. As I've said in my post about Japan, it's not only the Land of the Rising Sun - it's also the Land of the Setting Sun, if their birthrate continues to plummet. Love that photo of the old woman. @AJ I couldn't agree more with your observation. They need to invest in their future. Focus: People! :) Thanks for the comment! They may be a lot of old people in Japan but they're so damn able. I climbed a mountain in Gifu, Japan and I was so out of breath and I was almost gonna faint but shame on me because the old people were even jogging going there. It made me realize that even though you're old you don't have to be helpless. Those old people in Japan do their daily tasks by themselves like buying groceries, etc. I wanna be as able as them when I grow old. i have to agree with you. We have the same observation also. Hope to read your Japan stories. I badly miss the country. It's so beautiful, and they love Filipinos there!